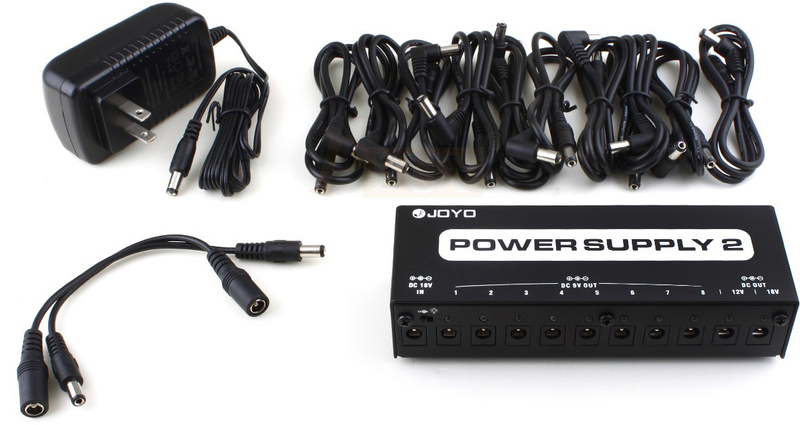 The Joyo Power Supply 2 solves this problem by offering you a total of 10 outputs that are fully regulated and offer protection against short circuits. Outputs 1-7 are for standard pedals of DC 9v 100mA. In addition, there is one output each for 9V 500mA, 12V 100mA, 16V 100mA. The chasis is built from steel and tough as bullets. Each power supply glows blue so as to be seen in dark stage settings. Very helpful. 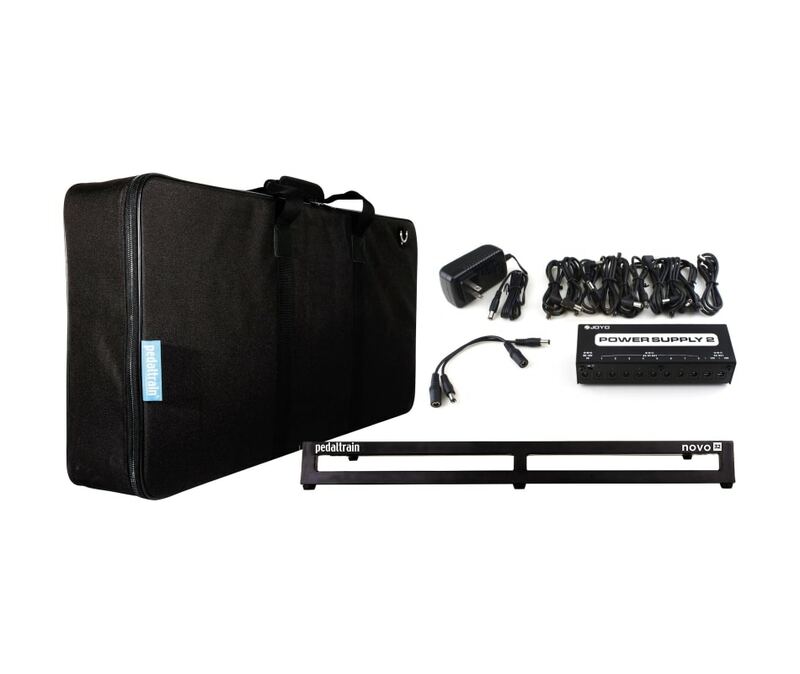 Adapter and cables included as well.